We work with developers, contractors, architects and designers to deliver design-led cellaring solutions for both new developments, extensions and refurbishment projects with options to suit every budget and design brief. We can survey your project to advise on suitable locations and where applicable we handle M&E installation, engineering calculations and Building Regulations approvals. We undertake both individual turnkey projects and larger development projects requiring multiple wine storage within the one development. Experienced in managing all aspects of the building installation, we can also provide a ‘fit only’ service when working in conjunction with your contractors. 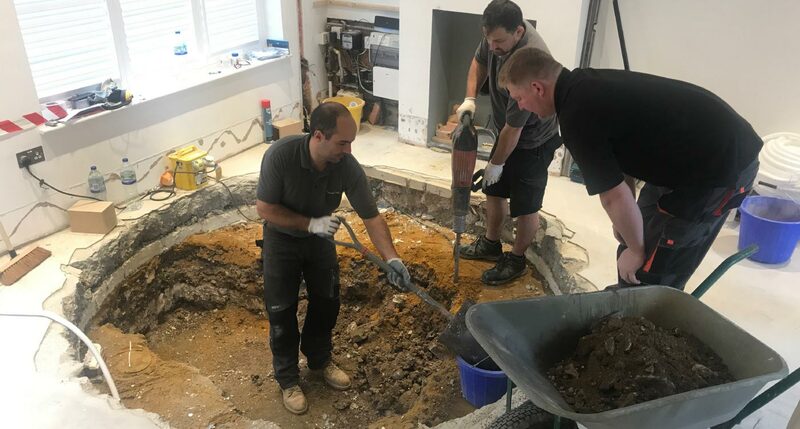 We also offer our Original Spiral Cellar as a kit, enabling you to independently install an underground cellar project on behalf of your client. We are a member of the RIBA CPD Providers Network. As such, we can offer architectural practices and design companies an approved CPD seminar telling you everything you need to know in order to specify a Spiral Cellar. These seminars can be presented either at your offices or you can attend one of the regular CPD sessions held at our UK showrooms.